Note: Family members receive discounts on kids programming such as Cosmic Explorer workshops and summer camps. Gheens Science Hall and Rauch Planetarium, the new next generation connection, inspires learners and leaders to think innovatively and creatively. 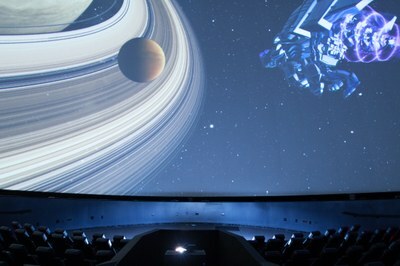 The Gheens Science Hall and Rauch Planetarium's next generation dome transforms the science education experience with full-dome, immersive visualizations that bring complex and difficult science concepts to life. Virtual journeys from below the earth's surface to the edge of the known universe inspire and excite learners of all ages. Customized programs address the 2013 Next Generation Science Standards with information that can be easily absorbed and understood by next generation learners. Immediate access to live, streaming satellite data allows the Gheens Science Hall and Rauch Planetarium to offer cutting-edge, relevant programming for years to come. Your support is essential to ensure the University of Louisville's Gheens Science Hall and Rauch Planetarium remains a world-class visualization tool in our world-class city.